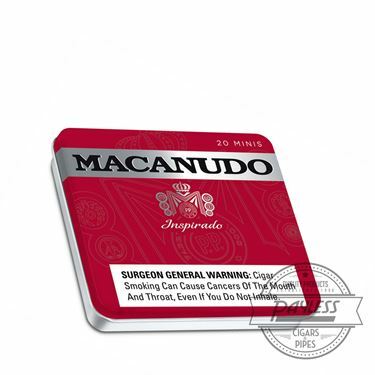 Macanudo first debuted the brand's Inspirado cigar in 2014 as a European exclusive. 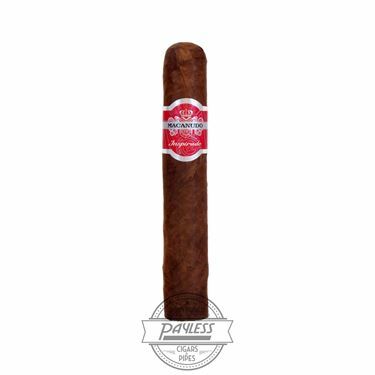 Offering a modernized appearance and fuller flavor style, the cigars were quick to gain a loyal following, eventually making their way to the United States in 2016. One year later, Macanudo followed up the Inspirado (now known as Inspirado Orange) with two new blends: Inspirado Black and Inspirado White. But the company wasn't done yet; in 2018, Macanudo celebrated the brand's monumental 50th anniversary, adding one more color to the Inspirado series—Macanudo Inspirado Red. What good is an anniversary cigar without heavily aged tobaccos? Fret not, because Macanudo Inspirado Red has plenty of it! This Central American-based blend begins with a hearty filler recipe, boasting aged tobaccos from Nicaragua and Honduras. Let's break this down and allow the stats to really sink in... 12-year-aged Ometepe (Nicaragua), 10-year-aged Jamastran (Honduras), and 5-year-aged Estelí (Nicaragua). This mature filler combination is then bound in a Jalapa-grown leaf and finalized in a dark, Ecuadorian Habano Ligero wrapper. If you aren't salivating yet, allow us to describe the smoking profile... Inspirado Red is medium in body, catering towards flavor over strength. 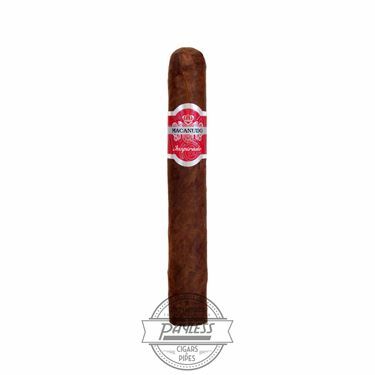 Upon lighting, the cigars ooze with complexities of sweet cedar, Café Cubano coffee, aged tobacco, aromatic spices, toffee candy, and assorted nuts. 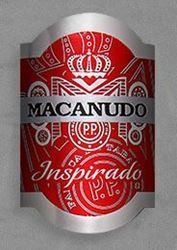 Celebrate with Macanudo and reward your taste buds with an Inspirado Red.